Join us for a pairing of award winning Crow wines and fine chocolates. 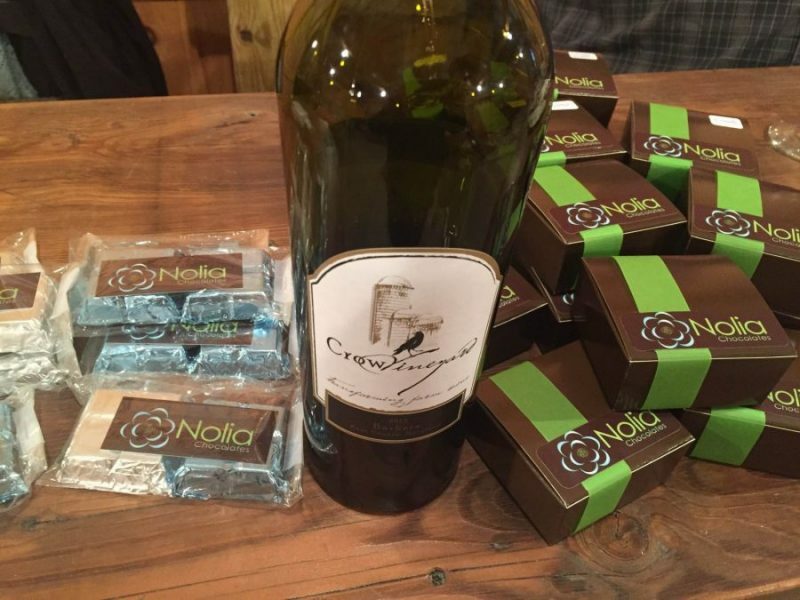 Nolia Chocolates specializes in small batch, intensely flavored confections. For more information please email info@crowvineyard.com or call 302-304-0551.